can be used as a single source food indefinitely because it's based on fat and dried raw meat which means all vitamins are preserved. Disease because of malnutrition typically takes a few years. The canary is usually bad dental health. Last edited by patrix on Thu Dec 07, 2017 6:36 am, edited 2 times in total. Let's not have a "flame war" again. You know my views and I know yours. And I've noticed many people have strong feelings attached to diets. I guess it's no coincidence most religions contain dietary restrictions. But to answer your questions raw or cooked doesn't matter if you have a reasonably varied diet. Sorry to inform you, but that question is of the utmost importance, hence my reason for asking. There's a world of difference between raw and cooked. I do have to address this at another time though due to my current time constraint. I asked a specific question, and I received a non-specific answer. What number of years do you think would prove the worth of a certain way of living? HonestlyNow » December 6th, 2017, 8:20 pm wrote: I asked a specific question, and I received a non-specific answer. What number of years do you think would prove the worth of a certain way of living? Mmm, I understand perfectly well that people get upset by Flat Earthers, but an upside with them is that they at least cannot cause any physical damage with their delusions. patrix » December 6th, 2017, 2:05 pm wrote: Let's not have a "flame war" again. a lengthy exchange of angry or abusive messages between users of an online forum or other discussion area. I conducted a search on this site for my posts in Engineering Disease. My search indicates that I made 23 posts in this thread. Not even one of those posts is either abusive nor of an attacking or angry nature. Search Link. The flame war, my dear patrix, is in your imagination. The flame war, my dear patrix, is in your imagination. Flame war might be a bad choice of words, but it’s besides the point. The point is that people like you pisses me off for a very good reason, and that is that you promote malnutrition because of your ignorance. You feel you are morally in the right to promote avoidance of animal products against better knowledge and actively tries to question and discredit anyone that says otherwise. You are like a Flat Earther but with the important difference that anyone exposed and convinced by your delusions risk health problems. You ask me silly questions and argue like I’m in some kind of obligation to answer them. Does it make me less credible if I choose not to? Lets turn this around. Lets do Jeopardy instead. Here’s an answer I want the question for and if you don’t know it without google you are obliged to put your delusions about nutrition where the sun don’t shine. patrix » December 7th, 2017, 7:59 am wrote: You feel you are morally in the right to promote avoidance of animal products against better knowledge and actively tries to question and discredit anyone that says otherwise. What I have seen to be the truth of the matter in regards to the health of the homo sapien, is that we are a frugivore species, and that the cooking of our food has proven to be the downfall of mankind. Well then grab some eggs and butter and get your brain and serotonin levels up to a working condition again. We’ve all been fooled in some way. The important thing is to be honest enough with yourself to see that. The vego-/vegetarian psyop/social engineering has a long history. Disney has made animals children's soulmates. Before Donald, duck fat was one of the most commonly used fats in American homes. Then we have all kinds of hoaxes after that like Cowspiracy, Mad cow disease, the list goes on. First we ridicule it, then we fight it, then we proclaim – That is what I’ve always said. patrix » December 7th, 2017, 8:26 am wrote: Well then grab some eggs and butter and get your brain and serotonin levels up to a working condition again. You're making the assumption there's a problem with my brain and serotonin levels. I've made no such claim here, and it's also not the case that I'm having that problem. Thank you, anyway. patrix wrote: We’ve all been fooled in some way. The important thing is to be honest enough with yourself to see that. Again, agreed. You and I differ on how we are being fooled. patrix wrote: Disney . . .
As I've mentioned during our last exchange months ago, I've no interest in Disney, and he/it is not in any way the guiding force upon the knowledge I have gained on this subject. Which makes me sad, because I do care. Is this guy somewhat stressed in the conference? He doesn't breathe normally. Maybe because he is speaking nonsense? I wouldn't have much confidence in someone speaking on health matters, who doesn't know how to breathe and who wears glasses. All the health gurus should know that a fast magically empowers the sight and hearing! dblitz, that's an important question, because everybody presumes that the body extracts energy from the food, whereas the food only gives the material that the body uses. The body uses energy from the atmosphere, and has repositories of energy, but it doesn't transform fats or sugars into energy. This is proved during fasts, as the body becomes stronger and healthier, without consuming any calories from food. No kind of aliment can carry life force into the system, or by any action, severally or jointly, create it within the body. neither exercise nor eating adds a particle of vitality to the stock in store, but diminishes it. Jennings was the inventor of the term "orthopathy", or right action, which considers disease as a state of feeble vitality. His system is so good that we can throw modern medicine and all those quack's youtube videos to the dustbin. Gee I don't know. Maybe he's a bit emphatic about the fact that he's researched cancer for 20 years and showed with controlled experiments that the ruling genome theory, that current cancer therapy is based on, is simply wrong. But despite that he's received practically no attention for his research. Human cells use simple sugars or monosaccharides as their major fuel component. Monosaccharides are the most fundamental units of all sugars and cannot be further hydrolyzed or broken down into simpler compounds. Fructose is a monosaccharides which is found in fruits can pass through the lining of the mouth and stomach, as well as small intestines, just as it is and provides fuel directly to cells. All other sugars, disaccharides and polysaccharides, must be broken down first, meaning they must go through the digestive process and converted into monosaccharides before cells can absorb them for fuel and so must undergo the digestive process. 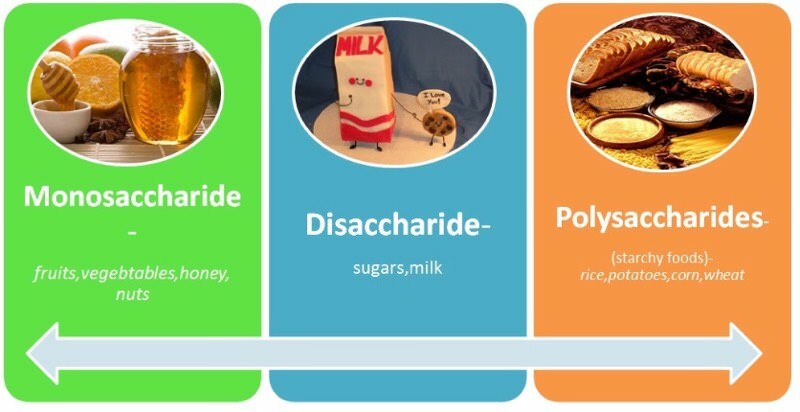 Disaccharides and polysaccharides are broken down into glucose, which is a monosaccharide. Glucose, unlike fructose or fruit sugar, needs a carrier unit, insulin, to transport them into the cell but fruit sugars or fructose needs nothing. Modern biology would agree with the above paragraph so it is not in dispute. The fact that fruit sugars don’t need to be broken down, don’t need a carrier unit and can be readily absorbed into the blood stream as soon as one starts chewing is significant. This means when fruit is eaten the body does not have to spend valuable resources on the complicated digestive process and can instead work on repairing and regenerating the body. Modern medicine does a real good job of ignoring how easily absorbable are fruit sugars and assuming that many other sources of sugars are needed as found in the disaccharide and polysaccharide groups so that the body gets all its chemicals as needed by the human body. What modern medicine is also ignoring is the fact that the liver is an amazing chemical factory and does this job all by itself using the carbon, oxygen and hydrogen from fructose and a few other elements found in fruits to supply the human body with all the chemicals it needs, generally speaking. Seyfried was asked in an interview what he would do if he got cancer and he said he would immediately go on a long term fast (water only). So I presume he does know about fasting. He's just a more vocal part of a growing movement in many research institutes in Europe and US, continuing from the point where Otto Warburg was abandoned. Long term fasts do have an amazing record of clearing up many chronic complaints but I've not seen much about sight. Shelton said he had experienced sight recovery in some of his patients but I'll read those two books you linked to. Kham humans can burn suger or fat. Fat burning is cleaner - no lactic acidosis which over the long term causes all our problems. The duel fuel ability provides resilience but it seems obvious now that fat burning was intended to be the main source. Long term fasts and ketogenic diets both achieve fat burning, respectively from the body or the diet. Edit: Because sugar is in almost all processed foods, and because modern bread has the same effect (long chain glucose, an even higher GI than the sucrose baseline), most Americans can spend their lives in sugar burning mode. And die of heart/artery or cancer because of it. Solution is simple: give up all carbs except in fruit and veg. Go easy on fruit but now and again have more. We want to give the body a rest from chronically high insulin, give the pancreas and insulin receptors a rest, but we don't want to completely negate the sugar-insulin response. Pure ketogenic for years appears not to be healthy. Interesingly modern fruit, hybridized for high sugar content, is quite different from fruit of even a few hundred years ago. There's a renaissance painting of a split water melon which shows its inside to be quite different, albeit red. Modern bananas are not grown from the seed as they have none. Wild bananas are packed with hard seeds. Last edited by Peter on Sun Dec 10, 2017 9:00 am, edited 2 times in total.